By law, from 1st April 2016, all dogs must be micro-chipped; failure to do so can lead to prosecution. Your pet’s micro-chip details are input on a national computer database which is available 24/7; therefore it is very important that you keep your details up-to-date with the micro-chip organisation. To prepare your pet to travel abroad for the first time under the travel scheme, you may need to prepare at least a month before you travel. A permanent microchip must be in place. Your pet must be vaccinated against rabies (not before 3 months old); they cannot re-enter the UK until 21 days after this. Some countries require more frequent vaccinations, it is important to check requirements of your destination country. They must have an EU passport signed by an official vet confirming all criteria has been met. Up to 48 hours before returning to the UK, all dogs must be treated for ticks and tapeworm by an authorised vet. 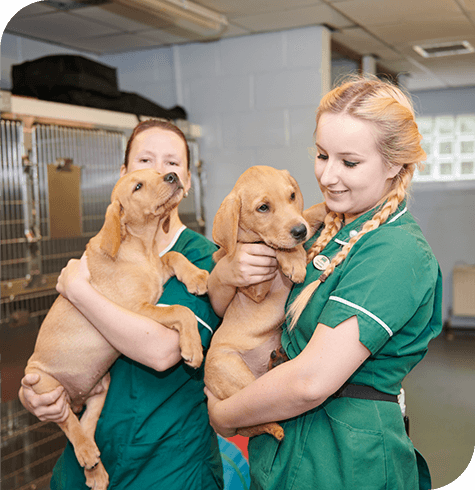 Our vets and nurses can offer advice about keeping your pets safe, comfortable and calm when travelling. They can also advise on travel bugs; at Aireworth Vets we can offer your pet protection from these.